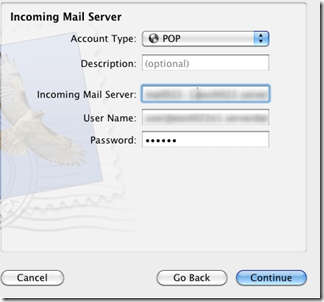 How Do I Configure MacMail Client To Connect To POP/IMAP Mailbox? 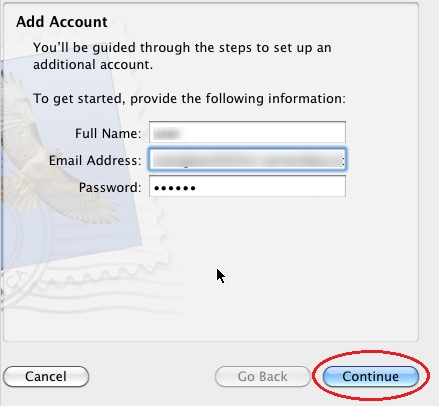 In MacMail, go to File > Add Account. In the Outgoing Mail Server window, input Outgoing Mail Server – this is best to be set as your Internet service provider (ISP). 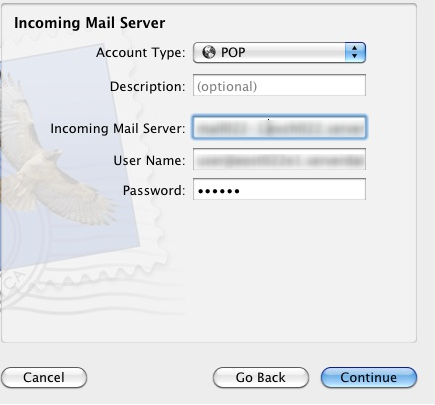 I am running Mac OS X 10.8.3 and Mail.app 6.3. 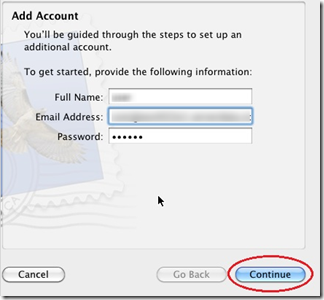 When adding an email account, Mail.app some how works out the details required from your email address. Unfortunately when I attempt to add an account for optusnet it defaults to POP and does not allow me to create an IMAP account. Sorry for the late reply. I would assume that this is an issue with Optus and them not having enabled the IMAP service. Some providers will do this to minimise the amount of emails that are stored on there servers. I would contact Optus as a first point of call. The only work around that I can think of would be to create a Gmail or Outlook.com email address an use that service to download the Optus emails via POP and then set up the Gmail or Outlook.com email in your Mail.app, as these services use a HTML based email service. I have used Gmail to something like this however I did find that Gmail will check POP email randomly between 30 mins to 24 hours if the Gmail address isn;t receiving emails itself.